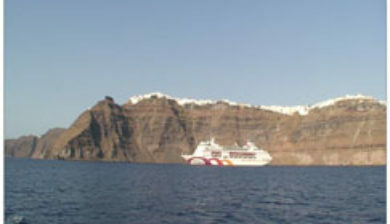 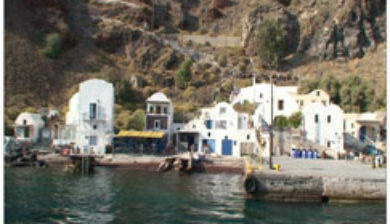 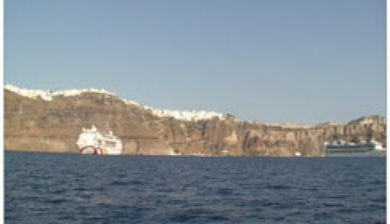 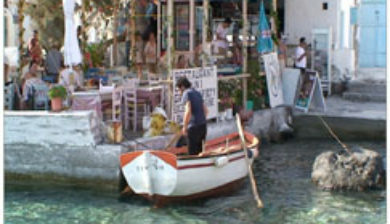 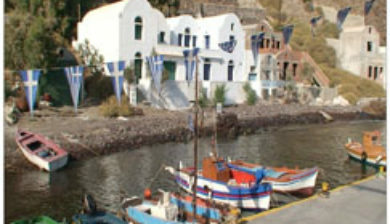 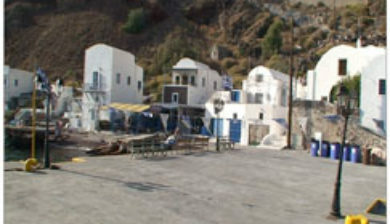 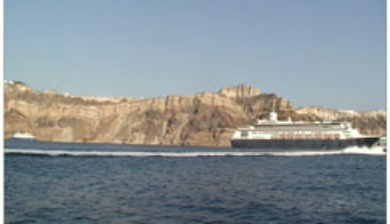 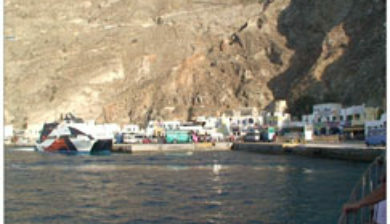 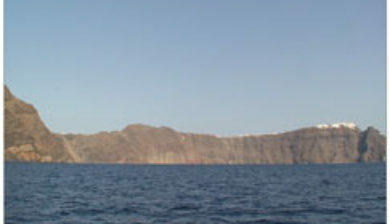 is a small uninhabited Greek island of volcanic origin located in the Aegean Sea within the flooded Santorini caldera. 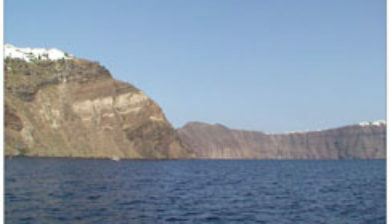 Nea Kameni and the neighbouring small island Palea (or Palia) Kameni (the new and old burnt islands) have formed over the past two millennia by repeated eruptions of dacite lava and ash. 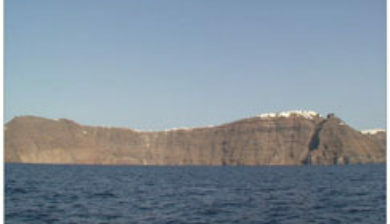 The Roman historian Cassius Dio records in the year 47 AD “This year a small islet, hitherto unknown, made an appearance close to the island of Thera.” Major eruptions over the past 300 years took place in 1707–1712, 1866–1870, 1925–1928, and 1939-1941. 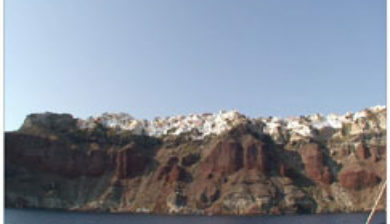 The last small eruption happened in 1950 and involved lava dome extrusion.